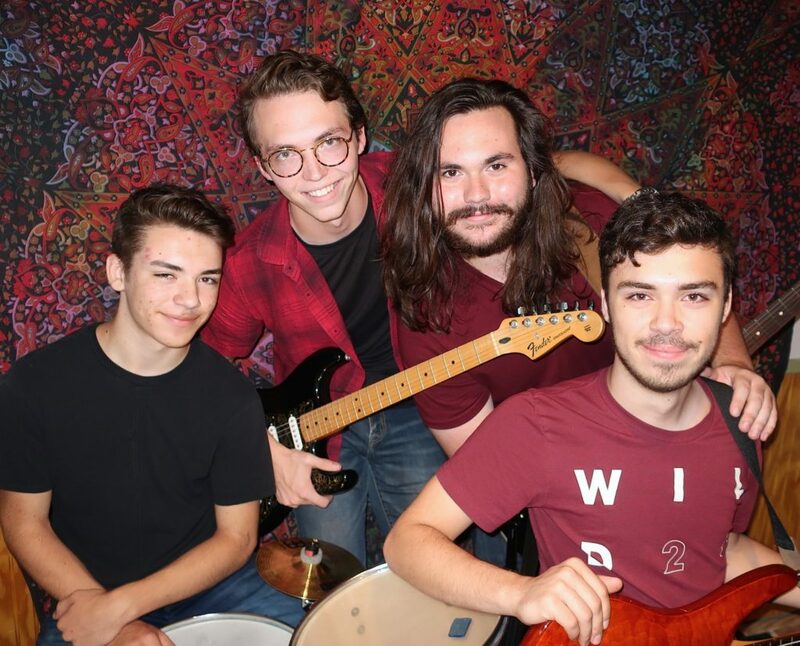 The Lititz Record Express this week told the story of a young band that includes a member of Grace Church in Lititz, Pa. (Tim Boal, lead pastor). A portion of the story appears below. Click here to read the complete article. The Scouts, from left to right: Josh Buckwalter, Tom Hartman, Nate Yager, and Justin Buckwalter. Things are heating up for a young band that made its debut at the Lititz Fire & Ice Festival in February. Amazingly, the Scouts have only been performing together for five months, yet they’ve scored a deal to make an album, which is currently in the works. They have been recording their first album at TriForce Studios in Lancaster and five of the songs were written by the group. The main songwriter is 17-year-old Nate Yager, a senior at Lititz Christian School. The rest of the group are Justin Buckwalter, 19, a Warwick High School graduate, and his younger brother Josh Buckwalter, 17, a senior at Warwick High School. The newest member of the Scouts is Tom Hartman, 18, a recent Warwick High School graduate. … All three teens performed at their respective churches, the Buckwalters at LCBC in Manheim, and Yager at Grace Brethren Church in Lititz. The very first time they performed together was in September 2017, when Dosie Dough needed a band for Second Friday. Dosie Dough owner Amy Lloyd asked Lititz Music Co. owner Ben Hartranft if he could suggest a band to fill in, since her booked band had cancelled. Yager worked part-time at the music shop and he got his childhood friends together to perform. They were a hit.